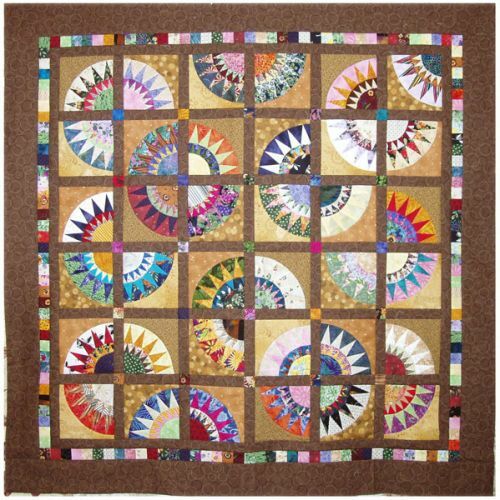 This quilt is the result of a challenge issued by a local quilt shop. Participants exchanged 5" squares of fabric and had to use all of that fabric in their quilt. Quilt exhibited at Quilter's Heritage Celebration.